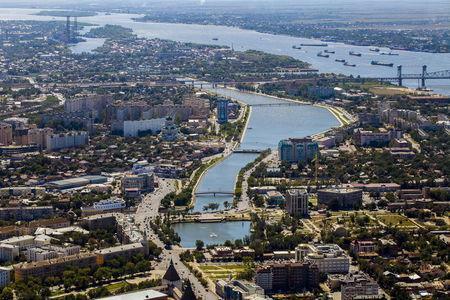 ASTRAKHAN, Russia (Reuters) - With oil and gas, fish in the nearby Caspian Sea and a warm climate, Astrakhan should be one of Russia's richest provinces. It isn't, and for years many people in this southern region of more than 1 million have accepted their position near the bottom of Russia's leader board. But patience is wearing thin. The strictures of Russia's economic crisis are making it increasingly difficult for many people to turn a blind eye to the corruption and waste that have hindered the region's growth since the fall of the Soviet Union in 1991. While President Vladimir Putin may not be taking the blame, the spending promises which helped him weather protests and win election in 2012 are depriving Astrakhan and other regions of badly needed funds, forcing cuts in once secure jobs that strike at the core of his support base. Complaints range from street vendors being moved from their trading spots by overzealous police and building companies being denied access to government tenders, to disappearing benefits for dangerous work and lives spent in dilapidated housing. "In Astrakhan, people live badly," said Olga Yaskina, a pensioner who with 34 others sells clothes and bric-a-brac at a local market stall in the region's administrative capital, which is also called Astrakhan. "We sit there every morning and have done for years, but they still want us gone, probably to get a more profitable trader. They sell off everything to the highest bidder now. Times have changed." In recent years, some modern offices and red brick elite apartments have sprung up in the city, which sits on the banks of the River Volga and has just over half a million inhabitants. But elsewhere crumbling wooden huts open into courtyards with rusting cars and abandoned toys. Cracked paving and pot-holed roads lead up from the newly paved embankment overlooking the wide expanse of river where people take shade in cafes. The city feels unloved, down on its luck. Higher prices and spending cuts in Russia's financial downturn, exacerbated by low oil prices and Western sanctions over Moscow's role in the conflict in Ukraine, have added to the gloom and brought the local economy close to a standstill. A recent survey by Russia's Civil Society Development Foundation, headed by a former aide to Putin, put Astrakhan's governor, Alexander Zhilkin, among the least effective governors in Russia out of the 81 ranked. Zhilkin, who stood for governor as a candidate for the United Russia party loyal to Putin, did not respond to requests for an interview, with aides citing his full schedule. At a meeting with Putin in February, Zhilkin was upbeat, saying his region would this year become home to a special economic zone, offering lower taxes and less bureaucracy. He said the Astrakhan economy grew 2.5 percent last year, compared with 0.6 across Russia, but the figure has yet to be finalised. Astrakhan was briefly a focus for national protests against Putin in 2012 when local politician Oleg Shein staged a hunger strike, saying he had been cheated out of victory in a mayoral election. The result was not overturned. There are no signs of renewed demonstrations for now, and no obvious dissent against the all-powerful Russian president, but there is discontent and plenty of calls for change. Alexander Gerlakh, a 52-year-old food producer, is one of the few in Astrakhan who are gaining from the crisis, enjoying rapidly increasing demand for his dairy products after Russia banned Western food imports in response to financial sanctions. But he also does not want the crisis to last. "I see how people are living and how needy they are now. They're losing their jobs, and many families are cutting back on spending to finance loans. People cannot pay," said Gerlakh, a Volga German whose family was expelled to Kazakhstan during World War Two and who returned to Astrakhan in his teens. "Jobs are being lost in all industries except food. Just next to our factory is a factory that produces parts for railway engines. The buyers have no money to pay and they cannot afford to buy the raw materials to fulfill their orders. It's a chain ... Whole sectors are moving into a period of stagnation." Latest official statistics say 6,955 people were officially registered as unemployed in the Astrakhan region in April 2015, up 15 percent from the same month a year ago. However, the majority of locals operate in the shadow economy, and anecdotal evidence suggests the actual jobless total is much higher. Unlike in the early 1990s, when money was even tighter, people now cannot rely on supplementing their incomes by fishing for caviar-producing sturgeon in the nearby Caspian Sea - it is forbidden after overfishing decimated the sturgeon population. And while the economy stagnates, prices rise. For Tatyana Gassakhanova, part of the group which trades at the market, her monthly pension of 8,900 rubles ($163) now needs to cover a gas price hike which means her winter payments reach 3,000 rubles - a particular source of bitterness given that the gas is produced locally. The cost of electricity, medicine and communal charges have also risen, she said, with inflation in Russia running at 15.8 percent in May after peaking at 16.9 percent in March. Gerlakh said he had heard about government programs to help small businesses grow during the crisis, but dismisses this as just words. "I always say; just let them not bother us, don't get in our way," he said. Fear of state intervention has ruled this region and much of Russia for years; increased attention can mean higher costs. 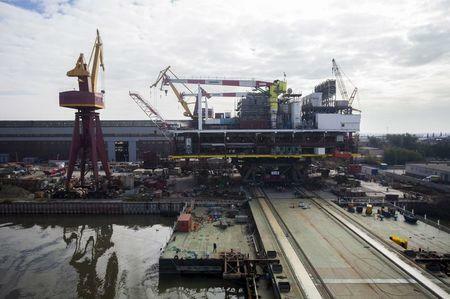 But with the Russian government leading the way with budget cuts and state companies following suit, even people in the more protected sectors are feeling the pinch, fuelling anger over officials who, at local and federal levels, seem out of touch. Vladimir Milkin, a worker at Gazprom's gas processing plant in Astrakhan, said his benefits paid for working in an environment classified as "dangerous" had seen repeated cuts. Gazprom Production Astrakhan did not respond to a request for comment. The region too is suffering. Local revenues are falling as the two areas it can tax - wages and land - are squeezed, and its debt burden is rising as it carries out spending pledges made by Putin in 2012 as part of what as known as his "May promises" to dampen mass protests. 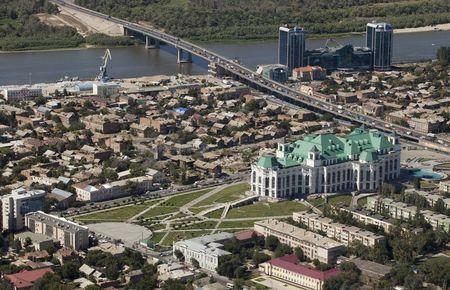 Ratings agency Standard & Poors ranked Astrakhan the ninth most indebted of 90 cities, regions and districts last year, with more than 70 percent of the debts held with banks, at shorter maturities, exposing the region to refinancing risks. S&P credit analyst, Karen Vartapetov, said regional defaults were not only likely, but, at least in one instance, have taken place according to the agency's definition of default. The local politician Shein, who now works in the regional legislature, said that with growing demands on the national budget, the federal "center" may not be able to pay out forever. "There are sharp cuts in pay, especially those who work in the finance departments of local administration ... and the reduction of salaries in Gazprom," he said, adding that some firms were withholding wages as they ran low on cash. "In the 1990s when there were huge strikes, they normally started after the wage arrears reached six or seven months. We are not there yet."